How can I motivate my child to study and get good grades? To do his homework? To succeed in school, so that he can go to the best college? To go to college? To practice playing the piano? How can I motivate my child to put in the effort needed to achieve his own goals? What parent does not want to see their child shine, succeed and achieve? What parent doesn't want to see their child happy? We want to be proud of our child, enjoy his success. I will never forget the day. My son participated in the science faire, and after winning the first place in the local science fair, was sent to participate in the California State Faire. In Los Angeles, thousands of children participated. Children and parents prepared for this events for a whole year, or even longer. Looking around me, I see teams bringing in their huge project boards. Excited parents accompanying their children, carrying their children's projects. An atmosphere of excitement everywhere. I felt honored just to be there, observe my son participate. After all the efforts that went into this event, now it was the time for the award ceremony. Many thousands of people - participants, parents and guests, sitting in a stadium, watching. Now it is time for "our" category. First the "honorable mention" winner was called to the stage. Then - the 3rd place, 2nd place... and first place. It's my son's name. Can you imagine how I felt? I think that I practically took off and floated in the air. I remember saying "It is a good feeling". And people around me - congratulating me, participating in the joy, I heard one man say; "I bet it is". This is the culmination of what we want. This wonderful feeling is what we want for our children and for ourselves. But how do we achieve this? How do we get our children to apply themselves? How do we get our children to understand what actions they need to take now for their future success? 1. Importance and inspiration: The goal has to be an inspiring goal to your child, and has to feel that it is important for him to achieve the goal. 2. Possibility: The child has to know and feel that it is possible for him to achieve the goal. If the child has doubt that he can achieve the goal, or thinks that it is impossible, there is little chance that he will work towards the goal and apply himself. 3. Acknowledgment and appreciation, reward: It is easier to keep a child motivated when offering a tangible reward. Knowing that achieving the goal will meet with a tangible form of acknowledgment, appreciation and reward, will add this extra drive. 4. Persistence. The route towards any worthwhile goal includes some minor set-backs and disappointments. The child needs to learn to get up, brush himself off, and get right back on the horse. When a child knows that a goal is important, feels that it is possible for him to achieve it, and is offered an incentive to work towards the goal, the chances are that he will be motivated to put in the effort needed to achieve the goal. Add to it persistence, and the results are as much as guaranteed. As parents, we always want our child to work towards a goad that inspires him. Help your child see the possibilities. Help your child dream big. Don't wait until your child is in high school to start thinking about ways to achieve that. Would you like your child to get a good education, to succeed in school? Start early on. Encourage your child to do well in school. Tell your child stories about students who succeeded in school and their achievements that came as a result of this success. Explain what the advantages are, of getting a good education. Why is it worth it to make great efforts to get a good education? The key is to get your child to see the opportunity for himself. If your child gets the idea that it is important for you that he gets a good education and succeeds in school, you have missed the mark. You want your child to understand why it is important for him to do all these things. I always told my children: when you get education, when you study, you invest in yourself. In addition to the doors that will open to you as a result of getting education, you become more knowledgeable. More intelligent. You become wiser. YOU. Make sure your child hangs out with friends who are successful in school. When your child is young, it is easy to choose his friends. Later your child will choose his own friends. In order to have some control over this, do your best to get your child into a good school, and in that good school, into the honors programs. Children have a tendency to adjust themselves to their environment, and sometimes a healthy competition develops, which encourages the children to put in more effort. One tool that mothers have used throughout the ages, is repetition. 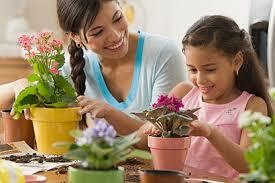 It is not enough to have one conversation with your child, explaining the value of applying themselves. You have to put together a "plan of attack". Prepare interesting reading material and movies about some role models. Provide biographies of people of great achievements. Research theater performances about role models, and take your child to watch them. Introduce successful people to your child. Do you have accomplished, educated people among your friends? Ask them to meet your child and talk about their success and how they achieved it. Have conversations with your child about his future, his goals, what does he want to be when he grows up? Repeat the idea you are trying to introduce to your child, in many different ways. How do we bring our child to believe in himself? Affirmations are a very effective tool. 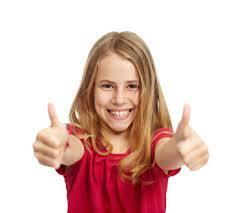 Write down some affirmations that you think will best encourage and inspire your child. For example: "you are very smart and talented". "You learn very fast". "You have an excellent memory". "You can do it". It has been shown that affirmations are most effective when repeated 3 times. Choose one affirmation for a day and repeat it at least 3 times during the day. Can you get your partner to cooperate and do the same? The more people you can get to repeat the affirmation, the better the result. Have your child repeat the affirmation himself - at least 3 times. Can you imagine how your child will feel, if he hears from everyone that day how smart and talented he is? Can you imagine the smile on his face? Do you think that there is any chance in the world, that he will not be encouraged? A close relative of the word "motivate" is "encourage". What comes to your mind when you think of the word "encourage"? The thing that comes to my mind, is praise. All of us, adults as well as children, respond well to praise, and feel encouraged when we receive praise. If you want to encourage your child to succeed, praise him and celebrate every action that leads in the right direction. Every small achievement. Most of us (including our kids) tend to be self judgmental. We criticize ourselves, and any small set back often seems like a serious failure. 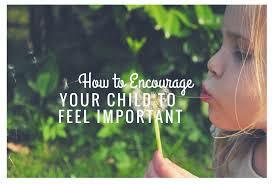 Your child will feel encouraged if his efforts are appreciated, and achievements are acknowledged. Praise on the way to achieving the goal is important. 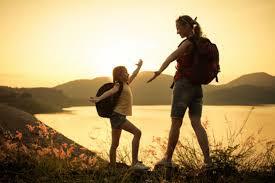 In addition, making sure the child knows the rewards for achieving the goals will be significant. Determining what the rewards is, depends on you. You are the only one who can determine what is affordable, realistic for you, and very desirable for your child. The reward has to be age appropriate. In his article: Incentive plans for gifted, but unmotivated kids, Wayne Fujita has a few good suggestions. Persistence is to a great degree a learned trait. Our children need to learn persistence, they need to learn that if we suffer a set back, we don't give up. Instead, we increase our efforts. Who can teach them that, if not us? An effective tool to teach persistence, is story telling. Story telling can take the form of a book, a movie, a discussion. There are many inspiring books and movies available about people who persisted and achieved, against all odds. Keep your eyes open, and when you find an inspiring story, share it with your child. Holding discussions with your child, is also very effective. When your child suffers a temporary set back, it will help him if you can put it in perspective for him. Knowing that a set back is minor, takes some judgment. Good Judgment is often a result of experience, and obviously children and young people need our help to develop good judgment. Explain to your child that this is just a minor, temporary set back. Help your child learn the lesson necessary to learn from this, and concentrate on preparing for the upcoming success. Encourage your child to concentrate on the goal, instead of any small set back on the way. Just like parenting, inspiring and motivating our children is a life long job. If you start at an early age, put together a "plan of attack", use the "tools of the trade" and add a healthy amount of love, the results will come. Satisfaction is guaranteed. Can Parents Be Too Involved With Their Childs Education?